What are the different types of Minor Eye Infection? Conjunctivitis is a minor eye infection that causes an inflammation of the conjunctiva (the thin layer of tissue that covers the front of the eye). The condition is very common and is often referred to as red eye. Conjunctivitis can cause the eye(s) to feel itchy, watery and in some cases can produce a sticky/crusty coating at the base of the eyelashes. Conjunctivitis will usually affect one eye, however, it can spread to both eyes after a couple of hours. Conjunctivitis can be caused by a variety of factors. If the conjunctiva has become inflamed as a result of a bacterial or viral infection, this is referred to as ‘infected conjunctivitis’. The condition can also be caused by an allergic reaction to a substance like pollen and dust mites. This form of conjunctivitis is called ‘allergic conjunctivitis’. If the condition has been brought on as a result of the eye coming into contact with an irritant, this is known as ‘irritant conjunctivitis’. Substances that can irritate the conjunctiva include; loose eyelashes, soaps and shampoos, chlorinated water. Treatment isn’t always necessary for conjunctivitis, the symptoms will typically clear within two weeks. If treatment is needed, the choice of medicine will depend on the cause of the irritation. In severe cases of infected conjunctivitis, an antibiotic eye drop is available to help clear the infection. Anterior blepharitis – affects the skin that surrounds the base of the eyelashes. Anterior blepharitis is usually caused by a bacteria called Staphylococcus. This bacteria can live harmlessly on a person’s skin. However, for some people they can cause inflammation of the eyelids. Anterior blepharitis can also be the result of seborrheic dermatitis, which is a common condition that results in the skin becoming oily or flaky. This can irritate the eyelids, causing them to become inflamed. Posterior blepharitis – affects the Meibomian gland, which is found along the eyelid margins. This form of blepharitis is typically caused by a problem with the Meibomian glands, where they can become blocked by excess oil, debris or skin flakes. This can result in inflammation. Mixed blepharitis – this type is a mixture of both anterior and posterior blepharitis. Blepharitis is typically a long-term condition. Most sufferers will experience repeated episodes, which are separated by symptomless periods. Although the condition cannot be cured, it is possible to successfully manage the symptoms by adopting a daily eyelid cleaning routine. In most cases, blepharitis isn’t serious, although it can potentially lead to further problems, such as dry eye syndrome. In more severe cases of blepharitis, antibiotics may be required to control the symptoms. External hordeolum: These are swellings that occur along the edge of the eyelid. They may develop into a yellow pus-filled spot that is painful when touched. Internal hordeolum: These styes develop inside of the eyelid. These swellings are generally more painful than an external stye. An eyelash follicle infection (external stye): These are small holes of the skin where eyelashes grow out from. An infection of the sebaceous gland (external stye): This gland produces sebum and is attached to the eyelash follicle. An infection of the apocrine gland (external stye): This is a sweat gland that covers the eye with tear film to prevent the eye from drying out. An infection of the Meibomian gland (internal stye): These glands are located on the eyelids and produce an oily substance, which constitutes part of the tear film that lubricates the eye. What are the symptoms of Minor Eye Infections? Redness of the eye(s), which is the result of the inflammation and widening of the blood vessels within the conjunctiva. A discharge of mucus. Inside the conjunctiva are thousands of cells responsible for producing mucus, and tiny glands, which produce tears. When the conjunctiva is inflamed, it causes these cells/glands to become overactive, resulting in an excess of mucus and water. Burning sensations in the eye(s). A grit-like feeling within the eye(s). A sticky coating covering the eyes and eyelashes, which is usually more prominent first thing in the morning. If you are suffering from allergic conjunctivitis, the symptoms will likely include itchy and watery eyes. An intense redness in either one or both eyes. In these circumstances further testing may be required to rule out any underlying condition. For example, the sexually transmitted disease chlamydia can cause infected conjunctivitis. In these cases, symptoms can last for several months. Red, sore and itchy eyelids. A burning sensation in the eye(s). A grit-like feeling in the eye(s). Loss of eyelashes (severe cases). A discomfort when wearing contact lenses. Styes are not normally associated with any loss of vision. They typically only affect one eye, although it is possible to develop styes in both eyes. Also, some sufferers can experience multiple styes in the same year. How are Minor Eye Infections diagnosed? Most minor eye infections are not serious and can be self-diagnosed at home or with the help of a pharmacist. This is normally relatively easy, especially if you have had a previous episode diagnosed before. As some eye infections can share similar symptoms, if you have never had an eye infection before and are unsure about the cause, it may be more difficult to diagnose yourself. If you are unsure about making the diagnosis yourself, you should see your doctor. In most cases, a doctor/GP will be able to diagnose most minor eye infections through a visual examination. They will ask questions regarding the symptoms, which will help them identify the type of infection and whether it will require treatment. Different eye infections can present with similar symptoms. If the type of infection is undetermined, or if the infection hasn’t responded to treatment, then further testing may be required. This may be in the form of a swab test; where a small sample of mucus is swabbed from the affected eye(s). This sample is then sent to a laboratory for analyses. What treatments are available for Minor Eye Infections? Treatment for minor eye infections will depend on the type of infection and its cause. Most cases of minor eye infections do not necessarily require medical treatment, as they usually clear up unaided in a couple of weeks. If treatment is required there are several options available; ranging from self-care techniques to medication. The details of these treatments are outlined below. Washing hands regularly will help stop the infection spreading to others. This is particularly important after touching an infected eye(s). Contact lens wearers should refrain from wearing lenses until the infection has passed. It is important not to use old lenses after an eye infection, as this can potentially be a source of re-infection. It is always recommended to use new lenses, solutions and cases after a bout of conjunctivitis. Use cotton wool soaked in water to gently wash away any sticky discharge from eyelids and eyelashes. Lubricating eye drops are available over-the-counter at most pharmacies. These will help to ease symptoms of soreness and irritation in the eye(s). Avoid rubbing the eyes, even though they may feel itchy. Antibiotics aren’t frequently prescribed for conjunctivitis, as the infection usually clears up by itself and if left untreated the condition poses very little risk of any associated complications. However, if an infection needs to be resolved quickly, has lasted for longer than two weeks, or if it is particularly severe; then antibiotic drops can be used to help treat the condition. The two main types of antibiotic drops used to treat conjunctivitis are chloramphenicol and fusidic acid. Chloramphenicol is typically the first choice of antibiotic treatment. 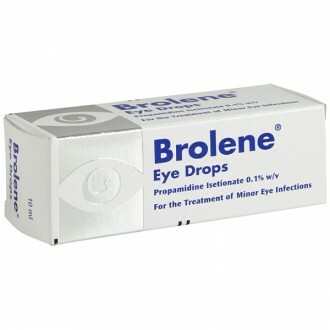 It is available as eye drops and also as an eye ointment. It is available without a prescription and is suitable for the treatment of bacterial conjunctivitis. To achieve the best results it is important to closely follow the instructions in the patient information leaflet. Fusidic acid may be prescribed should chloramphenicol be unsuitable. It is often prescribed for children and the elderly, as it doesn’t need to be applied as often. It is also the preferred treatment for pregnant women. Fusidic acid comes in the form of eye-drops and should be applied as directed by the GP, or as instructed in the patient information leaflet. These treatments can briefly cause blurred vision. It is strongly advised to avoid driving or operating machinery immediately after using these eye drops/ointments. If you suffer from blepharitis, it is important to cleanse your eyelids on a daily basis. This is regardless of whether you are currently presenting with any symptoms. By adopting a good eyelid hygiene routine, recurrent bouts of blepharitis can either be minimised or even prevented. 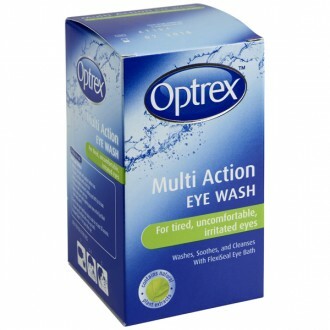 There are several eyelid cleansing solutions or eyelid wipes available. Your GP or pharmacist can help with advice regarding which cleaning solutions are most suitable. Boil some water then leave it to cool to a warm temperature. Use a clean flannel, soak it in the water. Place the flannel over the affected eye for around 10 minutes. Ensure the flannel doesn’t get cold by reheating it in warm water. (If using a microwavable eye-bag, ensure it is cleaned before and after each use). Using the little finger, gently massage closed eyelids in a circular motion. Using a cotton wool bud, gently roll the bud downwards, starting from the upper eyelid and moving down towards the lashes. Repeat this process widthways along the upper and lower eyelids. This technique helps to push the excess oils out of the glands. Eyelid massage can cause mild irritation to the eyes at first. However, this is normal and the irritation should subside with time. This line of treatment is usually reserved for those who do not respond to non-medicinal treatments. Antibiotic drops, ointments and creams are typically applied for around 4-6 weeks. These treatments should be applied gently to the edges of the eyelids, usually several times a day. As the condition improves the frequency of application can be reduced as appropriate. In some cases, a low dose oral antibiotic may be prescribed as an anti-inflammatory agent. This line of treatment will last a minimum of 3-4 months, or in some cases much longer. Oral antibiotics will typically be prescribed if blepharitis hasn’t responded to other treatments. They are usually taken once or twice daily. Warm compress (see blepharitis treatment): this method will encourage the stye to open and release the pus inside. Once drained away, the symptoms should improve quickly. Painkillers, such as paracetamol or ibuprofen can help to ease the associated pain. These treatments are available without prescription from any pharmacy. Always check the manufacturer’s instructions to ensure it is suitable for you to take. A mild antibiotic eye ointment such as Golden Eye can help to clear styes quickly and reduce irritation. Antibiotics are not recommended for treating styes. However, they can sometimes be prescribed to help treat the associated complications, such as chalazions - these are cysts that develop if a gland in the eyelid becomes blocked. How can I prevent Minor Eye Infections? If you are close to a person with an eye infection, try to avoid contact with your own eye area until you have an opportunity to wash your hands. You can minimise the chances of contracting common bacterial eye infections by using antibacterial sprays and cleansers frequently, especially in public areas, such as classrooms or day-care centres. In the home, if a family member has a bacterial eye infection, ensure their bedding and towels are kept clean and not shared with others in the house. Try to encourage the infected individual to wash their hands frequently. A good general rule is to avoid touching your eyes without having washed your hands first. For contact lens wearers, it is important to follow a good hygiene routine, such as washing hands before handling your lenses, solution and cases. Also, be aware that if you wear your contact lenses overnight whilst sleeping, your risk of contracting an eye infection is significantly increased. This is statement is true of the “breathable” hydrogel lenses as well. Another useful tip that applies for eye infections, and for good all round health, is to get plenty of sleep and to eat a healthy balanced diet. Being stressed and tired, or if your body is lacking in vital nutrients can lead to a reduced immune system, which will decrease the body’s effectiveness at fighting off infections. A stye is a small red bump that forms either on the outside or inside of the eyelid. It is often very painful, and may cause your eye to water. Styes most often appear individually, but multiple lumps will appear in some cases. An external stye occurs where the eyelid meets the eyelash. The lump may fill with pus and appear yellow. An internal stye can be even more painful. It involves swelling on the inside of the eyelid. External styes can be caused by an infection of either an eyelash follicle or of the sebaceous or apocrine glands. Sebaceous glands are connected to each eyelash follicle. They secrete sebum, an oily lubricant which prevents each eyelash from becoming dry. Apocrine sweat glands exist below each eyelash follicle – they produce a fluid which keeps the eye moist. Internal styes most often occur due to an infection of a meibomian gland. These are glands at the rim of the eyelid. They produce a component of the tear film, a layer of fluid which prevents the eye from becoming dry. Otherwise, an internal stye can arise due to blepharitis. Blepharitis is an inflammation of the eyelids characterised by painful or itchy eyes, or by crusty eyelashes. You will likely be at an increased risk of experiencing styes if you suffer from blepharitis. Yes – most people suffer from at least one at some point in their life. Styes tend to heal on their own, and so further treatment is not usually recommended. An external stye will likely start to release pus after three or four days. You can hold a warm damp facecloth to your eye to let out pus and facilitate healing. Internal styes usually remain for slightly longer. Do not attempt to pop or remove a stye on your own. If your stye is especially painful or is not healing, see your doctor. They may advise that they drain it. Antibiotics are used only to treat some of the potential complications of styes, including cysts of the meibomian gland. You will likely not be required to take antibiotics for conjunctivitis unless it is especially severe or lasts for over two weeks. This is because the problem tends to go away on its own, and there is not a significant risk of further complications. There are a number of ways you can help with the healing process of bacterial conjunctivitis. Use cotton buds to ensure that your eyelids are kept clean, especially if you notice any discharge, and be careful not to touch your eyes with unclean hands. Lubricant eye drops can be purchased over the counter and can help with soreness or discomfort of the eyes. Contact lenses can cause irritation and can sometimes be a source of infection, so refrain from using them until your infection has fully healed. Make sure that you use new lenses and solution after you have healed from an infection. 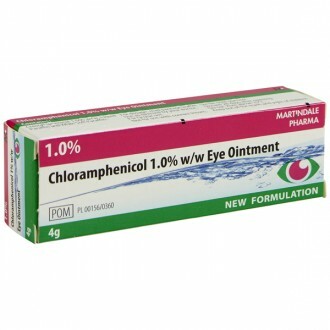 What are Chloramphenicol and Fucithalmic eye drops? These are the two varieties of antibiotics you will be prescribed if your bacterial conjunctivitis is especially severe. Chloramphenicol is available from pharmacies without a prescription. It is a strong antibiotic (more so than Brolene) and so is not available in tablet form and is only used for certain types of infection. If your GP determines that chloramphenicol is unsuitable for you, they may prescribe fucithalmic eye drops. These are used less frequently, and so are sometimes better for the elderly, children and pregnant women. In each case, ensure that you follow the patient information leaflet and advice from your pharmacist carefully. Antibiotic eye drop treatments should last no longer than five days. Contact your GP if your symptoms do not improve after two days. Contact lenses should not be worn whilst using eye drops, as they may interfere with treatment and may also be damaged by the medicine. It is normal to feel a brief stinging feeling in the eye; this should stop after a few moments. Because eye drops may briefly impair your vision, you should avoid driving immediately after their use. Eye drops last for only 28 days after they are opened, due to the type of preservative used to keep the medicine sterile. If symptoms remain after two weeks, contact your doctor. You should also see your GP if you are suffering from intense pain or redness, distorted vision or sensitivity to light. Infective conjunctivitis can in some cases be a result of an STI like chlamydia, so your doctor might advise you to undergo an STI test. Should I stay home from work or school if I have an Eye Infection? According to Public Health England (PHE), you or your child should stay home from school or work due to conjunctivitis only if it is particularly severe or painful. How is Seasonal Conjunctivitis treated? There are a number of steps you can take at home to ease the symptoms of seasonal conjunctivitis or hay fever. These include applying a cool damp facecloth to your eyes, refraining from itching, refraining from wearing contact lenses, or avoiding exposure to the responsible allergen. Antihistamines quickly relieve symptoms by preventing the release of histamine, the chemical the body uses as a response to allergens. Antihistamine is available in eye drops (e.g. azelastine, emedastine, ketotifen, antazoline with xylometazoline) or in once-a-day tablets (e.g. cetirizine, fexofenadine, loratadine). Check with your GP that you are prescribed an appropriate antihistamine – some, for example, are unsuitable for children. Antihistamines can sometimes have a sedating effect, especially when mixed with alcohol.